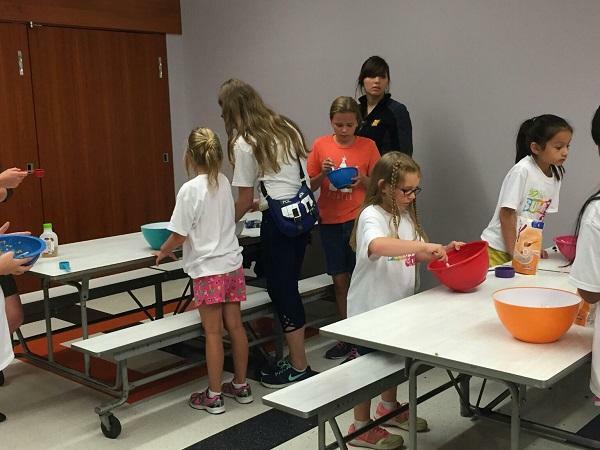 Clay Center Summer Camp focus on PBS Kids SciGirls! 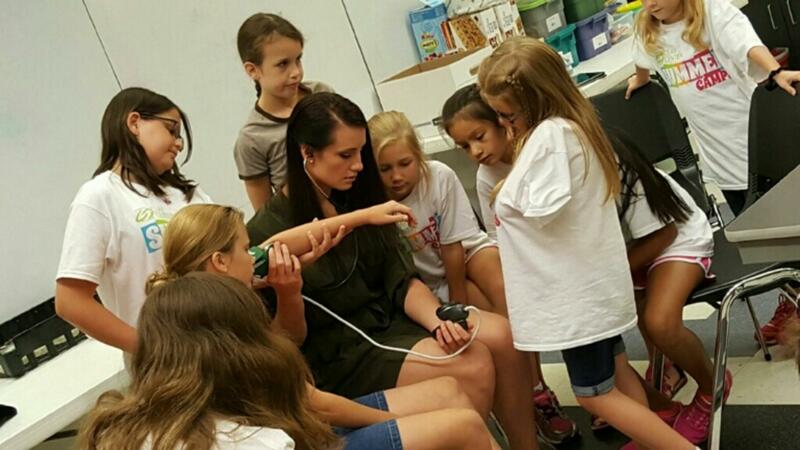 Campers learn how to take blood pressures. 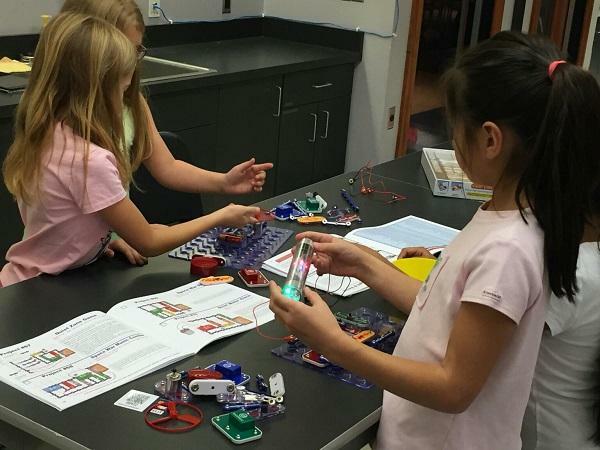 Camp Focuses on SciGirls! The Clay Center for the Arts and Science used the PBS Kids Sci Girls program as a basis for its Sci Girls Summer Camp. This year the Clay Center wanted to encourage young girls’ interest in all things science. They turned to the PBS Kids Sci Girls for inspiration. SciGirls is a show for kids ages 8-12 that showcases bright, curious real tween girls putting science and engineering to work in their everyday lives. Each episode follows a different group of middle school girls, whose eagerness to find answers to their questions will inspire your children to explore the world around them and discover that science and technology are everywhere! 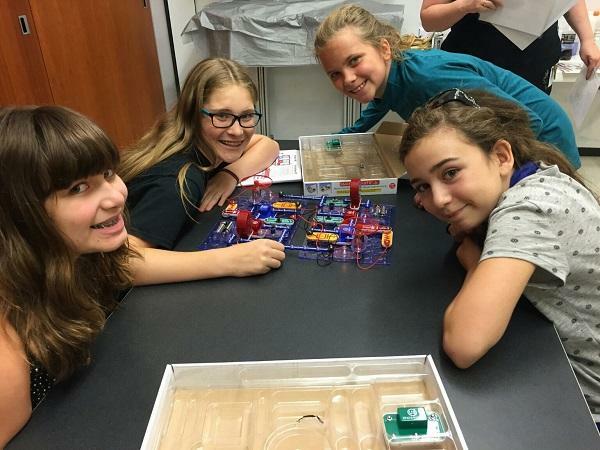 The goal of SciGirls is nothing less than changing how millions of girls think about science, technology, engineering and math! Every girl can be a SciGirl! 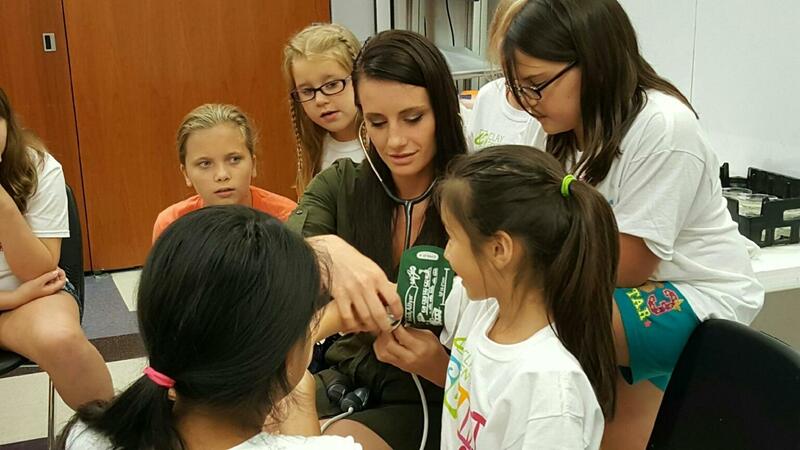 At the camp the girls explored STEAM careers and the health sciences. Campers learned to how to take blood pressure and heart rate, they played a game called Guess the Diagnosis where the girls received a slip of paper with an illness and symptoms and the other girls had to guess what was wrong based on the symptoms acted out. The giggling was infectious. Kayte Kincaid, Director of Education for the Clay Center, was enthusiastic about the new camp. “The girls are enthusiastic and our partnering with West Virginia Public Broadcasting has provided us access to great resources for our educational program.” Another PBS Kids themed camp based on Nature Cat will take place later this summer.